Run by Managing Director Peter Grant, and with a staff of 36, Telford-based Hitherbest Ltd a manufacturer of sheet metal fabrication products –has been a market leader for more than 35 years. Senior figures in the business have begun to notice that, over the years, there has been a significant fall in the number of young people looking at attaining the skills required to work in sheet metal fabrication. This has gradually led to a widespread skills shortage within the industry. “Add to that the nationwide uncertainty over Brexit and there’s a general doubt on the horizon for many businesses like ourselves,” explained Peter. Anticipating a need to steer Hitherbest through what may be a difficult environment ahead, the look towards savings turned the management team’s focus upon efficiencies within the business particularly in terms of energy use. 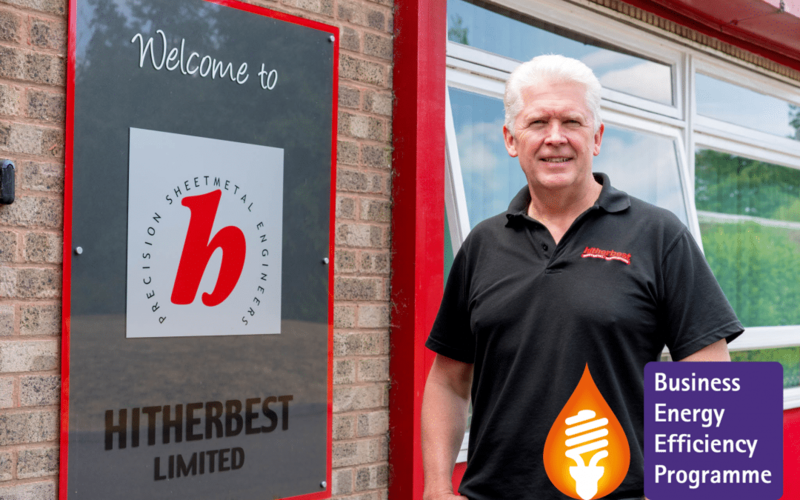 Assisted by an advisor attached to Worcestershire County Council’s Business Energy Efficiency Programme (BEEP), Hitherbest received a grant of £17,000 to modify their powder ovens. The grant is funded by theEuropean Regional Development Fund. The ovens, within the existing powder coating manufacturing line, now deliver an annual saving of £7,350 in energy bills, together with a cut of £7,400 in raw material costs. 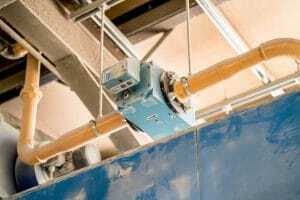 The modifications included updating gas burners and variable speed combustion, improvements to the processes of the conveyors and paint application systems. With support from BEEP, Hitherbest MD Peter Grant said the cash injections have made a real difference. “The modifications have also reduced our impact from greenhouse gases by some 41.8 tonnes per year, but the difference hasn’t just been made financially or environmentally – we can see a noticeable improvement in product quality too,” he said. The reduction in raw material costs is a 20% reduction in powder usage from the improvements, resulting from the new processes.